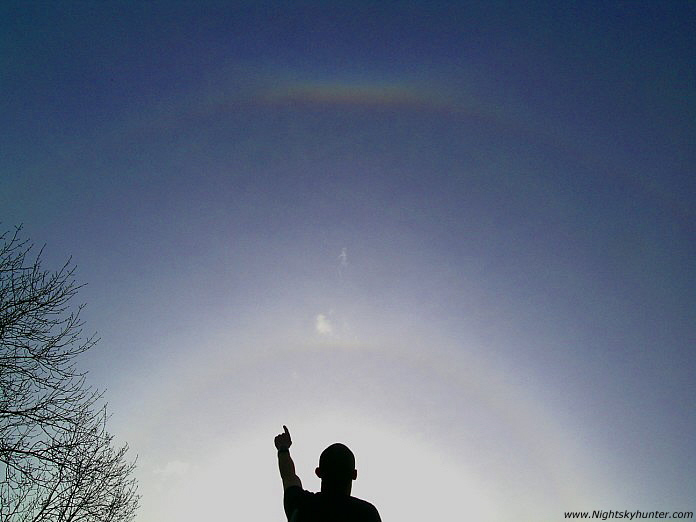 Magnificent halo complex captured on April 19th 2005 by Conor Mc Donald. That's me in the foreground blocking the Sun's intense glare. We walked several miles into the country and ended up in a field to image this remarkable ice crystal display. On show is an upper tanget arc, 44 degree halo, 22 degree halo, circumzenithal arc and a new rare halo called a sublateral arc.